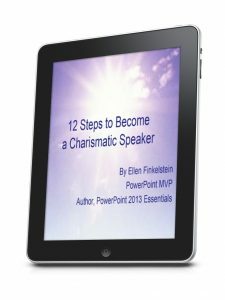 You’ve probably heard some famous speeches by charismatic speakers — Winston Churchill, Martin Luther King, John F. Kennedy — and more. Did you wish you could speak like that? Includes links to brief audios and videos to inspire you to get there! Yes, it’s a multimedia e-book. To pay by credit/debit card, click the “Don’t have a PayPal account?” link. Or log into your PayPal account to pay. Click Continue and you’ll automatically go to a page where you can download your e-book and bonus. You’ll also receive an email with the link. When you purchase, you immediately get a download link. You can have this book in a few minutes and start using it right away. You won’t find anything like it in bookstores—in clarity of information focused on what you need — or price.